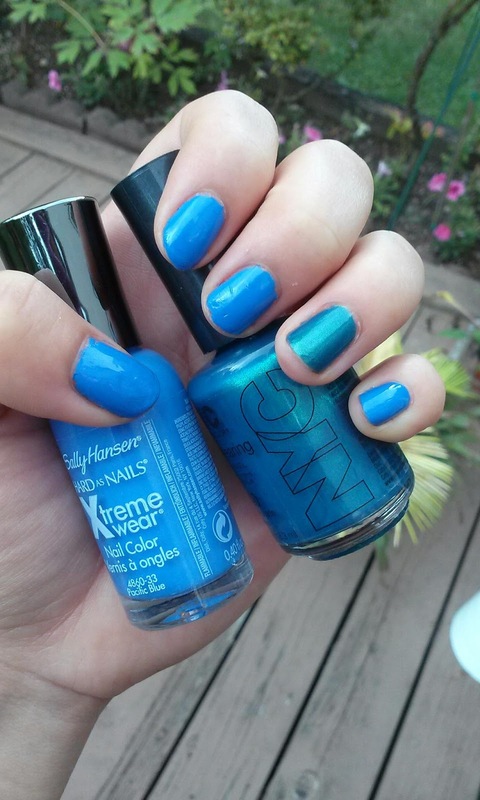 This weekend, I FINALLY picked up the ever so popular Pacific Blue color by Sally Hansen's Xtreme Wear. There were also a few other shades of colors that caught my eye from this line along with an NYC polish in Empire State Blue (my first time trying a NYC polish). I bought these on Sunday and when I got home, I had to immediately try them on. 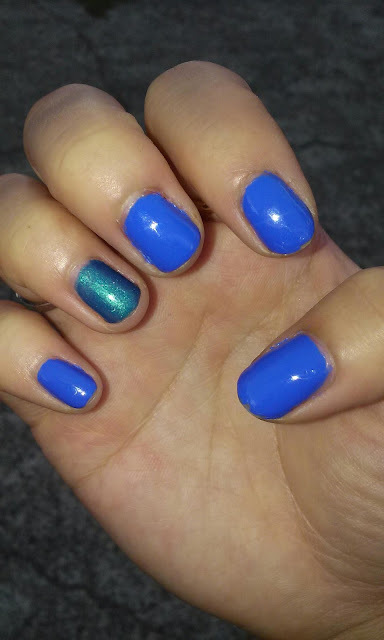 What made it even better was the fact that I could incorporate it into that night's Seahawks vs. 49ers game and of course I had to rep Seattle and paint my nails accordingly. Pacific Blue was everything it was hyped up to be and then some. The color was gorgeous and really one of the best blues (aside from royal blues which I love). The formula was very easy to work with and did not streak or bubble on me (I can't say that for all the colors in this line though). Empire State Blue ended up being really nice as well. At first I was skeptical because the first layer was beyond sheer so I figured I would need more than 2 layers to get the color I wanted. However, the second layer just seemed to take the sheerness away and gave me the opacity I wanted to that was great. It turned out to be a very fine shimmery dark turquoise color. I put 1 layer of Revlon's Colorstay Base Coat, 2 layers of the nail color, and 1 layer of Seche Vit top coat. So far so good, there is no chipping and my nails still look bright. 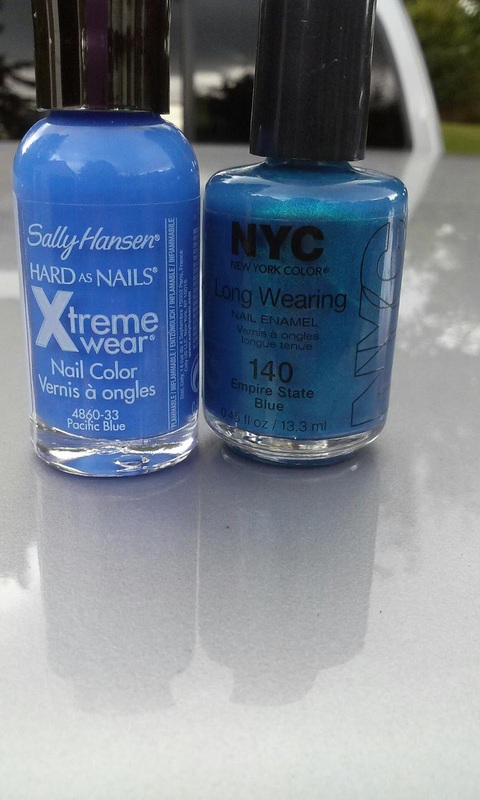 I never find Pacific Blue at Target so I went to Rite Aid where they had a buy one get one half off on Sally Hansen polishes so ended up really paying only ~$2.25 for that. I highly recommend both colors but both colors are beautiful in their own right. Pacific Blue just being the a nice subtle cobalt blue and Empire State Blue being reminiscent of a mermaid's tail--dark and turquoise and shiney. They both really do remind me of the ocean and water which I think is one of the ways to describe colors that I associate with Seattle.